Particularly suitable for small aquariums. Removes phosphate and clears cloudy water. 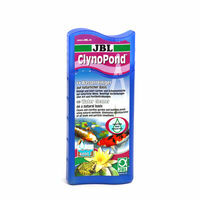 For pond water to suit both fish and plants: reliably binds phosphate and thus prevents unwanted algae growth. For freshwater aquariums and turtle and shrimp tanks. Immediate action: liquid iron preparation to reduce high phosphate values. Removes phosphate. 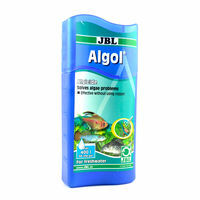 Prevents algae growth. Clears cloudy aquarium water. Home for fish and plants. Fish and plants need to be as comfortable in the aquarium as they are in nature. 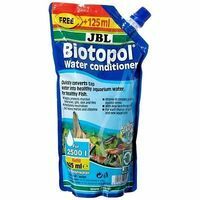 Transform the aquarium water into biotope-like water to protect the aquarium dwellers. Clean aquarium water - ideal water quality. 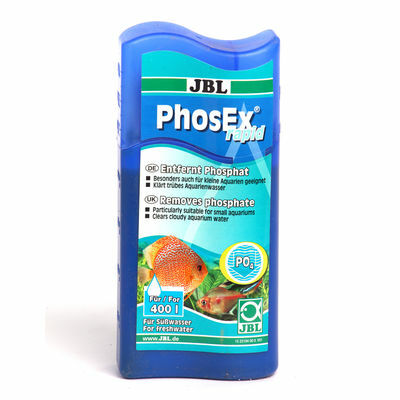 Prevents algae growth with proper use and eliminate phosphate, the basic nutrient for all types of algae. Dimensions: 2.5" x 5" x 1.25"
Particularly suitable for small aquariums. Removes phosphate and clears cloudy water. 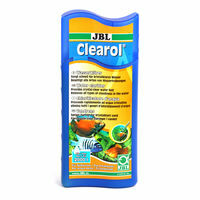 Features:For pond water to suit both fish and plants: reliably binds phosphate and thus prevents unwanted algae growth. For freshwater aquariums and turtle and shrimp tanks. Immediate action: liquid iron preparation to reduce high phosphate values. Removes phosphate. 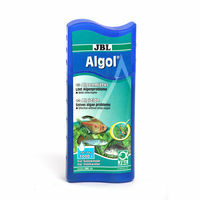 Prevents algae growth. 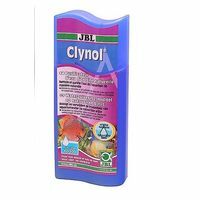 Clears cloudy aquarium water.How it works:A liquid iron compound reliably and permanently binds the phosphate. Example: 60l aquarium: 15ml. 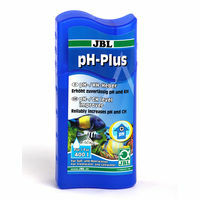 For >1.2mg/l 10ml/80l and for >0.6 ml/l 10ml/160lNature at home:Home for fish and plants. Fish and plants need to be as comfortable in the aquarium as they are in nature. Transform the aquarium water into biotope-like water to protect the aquarium dwellers. Clean aquarium water - ideal water quality. 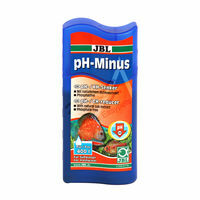 Prevents algae growth with proper use and eliminate phosphate, the basic nutrient for all types of algae. Specification:Dimensions: 2.5" x 5" x 1.25"Weight:130 g Disclaimer:Please note that liquid items like this will be shipped by surface transport if our logistic partner denies carrying by air. This might cause delay in delivery which may be between 5-12 days depending on your location.